Officially starting on April 2nd, the Ultra Series of Pokémon VGC 2019 is right around the corner. For those newer to the game, especially players who started competing in 2017, but also those with further experience, there are some new mechanics and fundamental aspects that you will be seeing for the first time, such as Primal Pokémon or Ultra Necrozma. Today, we will be taking an in-depth look at them for you to be ready for your next games in the new Series! One of the key mechanics debuting in the Ultra Series are Primal weathers. Both Groudon and Kyogre forgo their regular Drought and Drizzle abilities in favor of Desolate Land and Primordial Sea respectively, which are upgraded versions of the prior ones. Additionally, Mega Rayquaza gets Delta Stream, which acts as a balance weather of the other two. Instead of lasting from 5 to 8 turns, Primal weathers will remain active as long as the user is on the field. If the user gets knocked-out or switches out, the weather will return to normal. Regular moves and abilities aiming to change the weather, like Rain Dance or Sand Stream, will have no effect when Primal weather is active. Cloud Nine and Air Lock will still deny the effects of all 3 Primal weathers, though the weathers themselves will not disappear. Desolate Land activates as a Groudon equipped with the Red Orb is sent to the battlefield and triggers its Primal Reversion. Much like regular Drought, the harsh sunlight will increase the power of Fire-type moves by 1.5x while triggering the usual effects on moves and abilities like Solar Beam or Chlorophyll. However, apart from those upgrades, all Water-type attacking moves will fail if used under the harsh sunlight, thus making Primal Groudon (and all other Pokémon on the field) virtually immune to them. However, status Water-type moves, such as Aqua Ring or Soak, are still effective. Opposing to Desolate Land is Kyogre’s Primordial Sea, which works exactly like Groudon’s ability. The heavy rain will activate whenever a Kyogre holding the Blue Orb item switches in, and will boost all Water-type moves by 1.5x while triggering the usual effects on moves and abilities like Swift Swim and Dry Skin. Under the heavy rain, all Fire-type attacking moves will fizzle out, turning Primal Kyogre (and all other Pokémon on the field) technically immune to them. However, status Fire-type moves, such as Will-O-Wisp, are still effective. The third Primal weather is Mega Rayquaza’s Delta Stream, which acts as a disruption for Groudon and Kyogre’s ones. To Mega evolve and activate Delta Stream, Rayquaza needs to know the move Dragon Ascent. 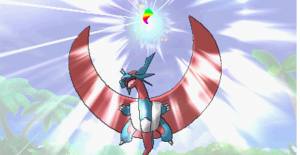 The mysterious air triggered by Rayquaza’s Delta Stream reduces the damage that Flying-type Pokémon endure from super effective attacks while still cancelling other Primal weathers, so Water-type attacks under the mysterious air will be able to connect on foes like Primal Groudon. Primal Reversion as a mechanic only activates once per battle, when either Groudon or Kyogre holding their respective orbs enter the field. Reversion animations will display before starting the turn, but always after all other abilities activating on the same turn. Should Groudon and Kyogre primal revert on the same turn, the order in which this happens is determined by speed. Let’s say you’re leading with a Groudon equipped with Red Orb and with a 120 Speed stat, and your opponent sends a Dialga with the Pressure ability and a 110 Speed stat on the field. Despite Groudon being faster than Dialga, Pressure will display before Primal Reversion. However, if your opponent also leads with a 130 Speed Kyogre with the Blue Orb, Primordial Sea will activate before Desolate Land but after Pressure, thus meaning that the harsh sunlight overrides the heavy rain, and that Kyogre is faster than Groudon. Of course, after Groudon or Kyogre have gone Primal, Desolate Land and Primordial Sea function as regular abilities, and the activation message displays based on speed interactions with the other Pokémon on the field. So, if you were to switch your 120 Speed Primal Groudon out on turn 2, and then back in as your opponent sent, let’s say, their 85 Speed Incineroar, Desolate Land would be in play before Intimidate. There are a few key moves that produce a Pokémon’s ability to change or have its effects nullified. From those, Skill Swap is likely to be the most prominent one in the Ultra Series, as it was in the 2016 format. This status Psychic-type move allows the user and the target to swap abilities with each other, and is usually seen on the likes of Cresselia and Bronzong, although other relevant Pokémon like Tapu Lele, Stakataka and Gengar have access to it. Skill Swap does not fall into any priority bracket, so it will be used following the regular speed determination at the beginning of the turn. The most popular way to use Skill Swap is to reset Primal Kyogre’s Primordial Sea upon an opposing Primal Groudon switches in. Let’s say you’re using both Cresselia and Primal Kyogre, while your opponent just switched in their Groudon. If your Cresselia uses Skill Swap on your Kyogre, then Kyogre will get Cresselia’s ability, Levitate, while Cresselia receives Primordial Sea. This will reset the heavy rain and allow Kyogre to freely use Water-type attacks against Groudon. However, you might want your Cresselia to be faster (or slower if your strategy revolves around Trick Room) than your Kyogre, so you can use both Skill Swap and a Water-type attack on the same turn. It is important to notice that, in case Skill Swap causes two Primal weathers activate at the same time, the ability held by the Skill Swap user prior to the move will be the last to activate, despite the speed relation between the two Pokémon affected by Skill Swap. In other words, the Skill Swap user will always trigger its newly-obtained ability first, and its previous weather will be the one staying active after the move. To better illustrate, let’s now suppose that your Cresselia has taken Kyogre’s Primordial Sea, but Groudon switches in the following turn, activating Desolate Land. If you use Skill Swap onto the Groudon, Cresselia is now getting its Desolate Land, while Groudon receives Primordial Sea. Because of the move’s behavior, Cresselia’s Desolate Land will always activate first, even if it is slower than Groudon. Therefore, Groudon will trigger the heavy rain second, and it will remain as the active weather. Naturally, if you then proceed to KO the Groudon with Kyogre’s moves, the heavy rain will instantly fade, and weather will be back to neutral. As neither Kyogre nor Cresselia get Primordial Sea back, you would have to switch Kyogre out to regain weather upon switching in again. Apart from Skill Swap, there are some other moves that you might stumble across at some point. To make things easy, let’s classify them into two groups: moves that replace or suppress abilities (Gastro Acid, Entrainment, Simple Beam and Worry Seed) and moves that copy abilities (Role Play). For the first group, all 4 moves will suppress or replace the target’s ability, which is most likely going to be a Primal Pokémon. When any of those moves is directed towards a Primal Pokémon, the weather of such Primal will be automatically deactivated, and neutral conditions will be on the field. This applies even if other Primal Pokémon apart from the target of the move are active at the time. Regarding Role Play, its mechanics are quite simple as well. 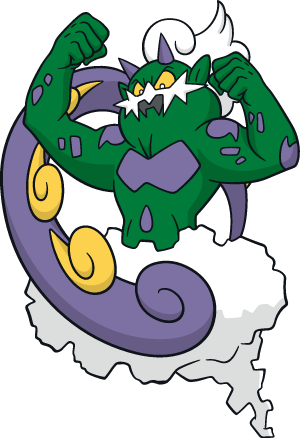 Let’s say a Tornadus uses Role Play on a Primal Kyogre. This will automatically trigger Primordial Sea on Tornadus’ end, so heavy rain will be active for the turn. Of course, as neither of the two Pokémon involved on the move lose their ability, both will have to be knocked-out or switched out to disrupt the weather. Bear in mind, however, that Role Play will fail if the target’s ability is already the same as the user’s, so you will not be able to copy Primordial Sea twice, for instance. Mega Evolution is limited to 1 Mega Evolved Pokémon per battle. However, you may run multiple Mega Stones on your team and decide on the Mega that best suits your game plan for each game. Mega Evolution can be triggered at any turn each player wants to, but it is not reversible. If a Mega Evolved Pokémon is switched out of the field, it will maintain its Mega form. Mega Evolution will be activated after any Pokémon switches of the turn and before the turn’s moves take place. If two Pokémon were to Mega Evolve on the same turn, the order of doing so is determined by their speed stats. All stat changes acquired from a Mega Evolution will be taken into account on the same turn a Pokémon Mega Evolves. This includes the Speed stat. So, if a base 100 Speed Pokémon were to Mega Evolve to a 120 Speed form, like Mega-Salamence, the attack order will be calculated with Mega-Salamence’s new speed right as it goes Mega. All Pokémon need to have equipped their specific Mega Stone in order to be able to Mega Evolve. This is the norm except for Mega Rayquaza. In order to Mega Evolve any Pokémon, all players need to obtain the Key Stone from Sina and Dexio in Poni Plains, which is only accessible after defeating the Pokémon League. Rayquaza is the sole Pokémon until now that can Mega Evolve (if it knows the move Dragon Ascent) while holding a regular Item, like a Focus Sash or an Assault Vest. However, if Rayquaza holds a Z-Crystal, you won’t be able to mega evolve at all, even if another partner already used its own Z-move. Ultra Burst is a brand-new mechanic introduced in Ultra Sun and Ultra Moon, and therefore a new element into the GS Cup mix that is yet to be explored by both veterans and newcomers to the game. 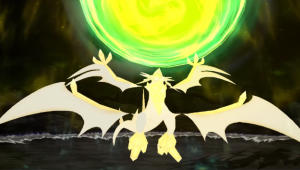 Holding the Ultranecronium Z allows both of Necrozma’s fused forms (Dusk Mane and Dawn Wings) to convert during battle on Ultra Necrozma, a powered-up version of the third of Alola’s Light trio. Ultra Necrozma is a Dragon/Psychic-type Pokémon with 97/167/97/167/97/129 base stats, which combine to a 754 BST, one of the highest from all existing Pokémon. Its ability, Neuroforce, boosts all attacks hitting for super effective damage by 1.25x, which is no joke when considering Necrozma’s wide movepool. 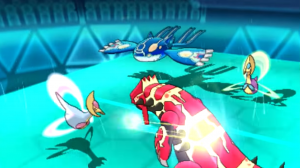 The Ultra Burst can be triggered at any point of the game from its base forms of Dusk Mane and Dawn Wings Necrozma, which is especially interesting from a competitive standpoint, as it allows players to preserve the base stats, Ability and typing of the base Necrozma fused forms until a certain point of the game is reached. An easy example for this would be keeping the Steel-type and strong defensive stats of Dusk Mane Necrozma until the opposing Xerneas is dealt with, then activating the Ultra Burst. As you may already know, Necrozma’s signature move, Photon Geyser, is either a Physical or Special attacking move depending on which stat is higher on the user’s end while factoring boosts and drops, but not status like burn or items like a Choice Band. Additionally, the move hits through abilities like Mimikyu’s Disguise. Ultra Necrozma’s signature Z-move, Light That Burns the Sky, matches the same conditions as the base move of Photon Geyser. This is a key detail, as Z-Photon Geyser (powered up by a regular Psychium Z) is always a Special move regardless of which attacking stat was higher. In order to use Light That Burns the Sky, Necrozma needs to undergo Ultra Burst at least a turn before, meaning that you can not unleash the Z-move on the same turn you trigger the new form. As Ultra Necrozma is not a Mega Evolved Pokémon, it is possible to trigger Ultra Burst while Mega Evolving on the same turn with its partner. However, the two mechanics are similar enough to be displayed on screen based on speed stats, so if your opponent’s Ultra Necrozma changes form before, let’s say, your max Speed Jolly Mega Salamence (which has a base Speed of 120 and hits a max Speed stat of 189), you know for sure they’re positive-natured for speed, as it is the only way that Ultra Necrozma can get over 189 Speed. Similarly, you may use a partner Z-move on the same turn you Ultra Burst with Necrozma. 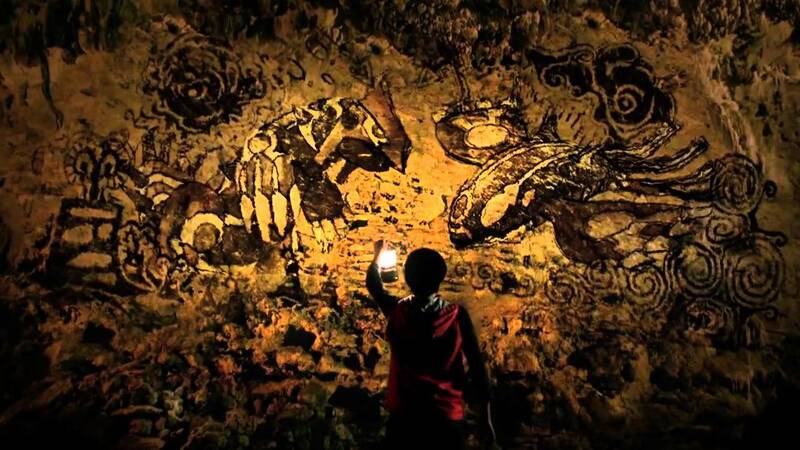 Of course, you will not be able to use Light That Burns the Sky afterwards. I hope this brief but complete overview of the major changes coming from Moon Series has been helpful to you, whether it was remembering old mechanics or learning some new ones. With Ultra Series coming up soon, what would you like to see covered next on Victory Road? Let us know down below!